Many students choose to live in residence after first year to avoid the stress and uncertainty of finding affordable accommodation off campus. Plus, all students in residence can access convenient programs that support learning and well being. Most upper year students are placed in a suite-style residence with a kitchen, either in a four bedroom suite with roommates, one bedroom suite, or a studio suite. A spot in residence is not guaranteed for returning residents and the application process is very different after first year. Returning UBC students who want to live in residence from September to April must apply before February 1. All applications are put into a computer system that randomly selects enough eligible students to fill available spaces—the rest are put on a waitlist. Students who are involved on campus can double their chances. Simply take the time to tell us about your involvement by submitting the Activity Record. Activity Records must be submitted by February 1. Students who aren’t offered a spot in residence are put on a waitlist and are offered spaces as other students cancel. Each student can monitor their waitlist number through their SHHS Online Service Centre. 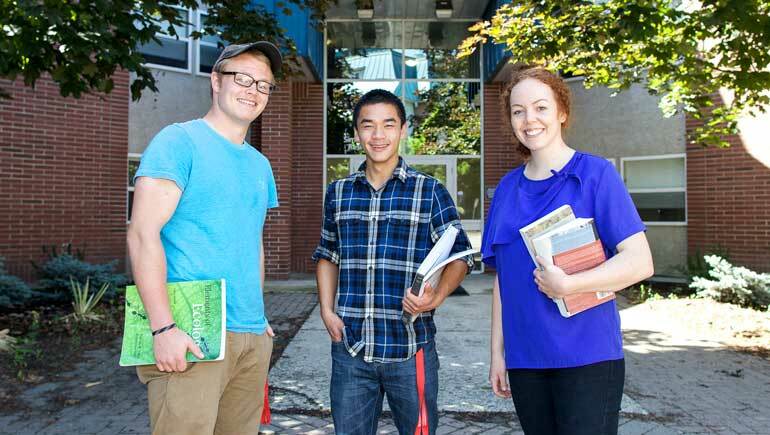 UBC Okanagan has a unique program that allows students with similar interests to live near each other. Integrated Learning Communities in residence are paired with a faculty or staff member who spends extra time planning educational opportunities and programs tailored to each community. ILCs provide a unique opportunity for students to live among like-minded peers and advance their own personal and professional goals. Returning/mature students should apply online before February 1. Want to stay on campus during the summer break? We offer accommodation from May to August in four bedroom suites in Lower Cascades. We also have spaces available for eligible students from other universities or those enrolled in summer credit courses.